Fiber Flux: Free Knitting Pattern...Spice Cowl! 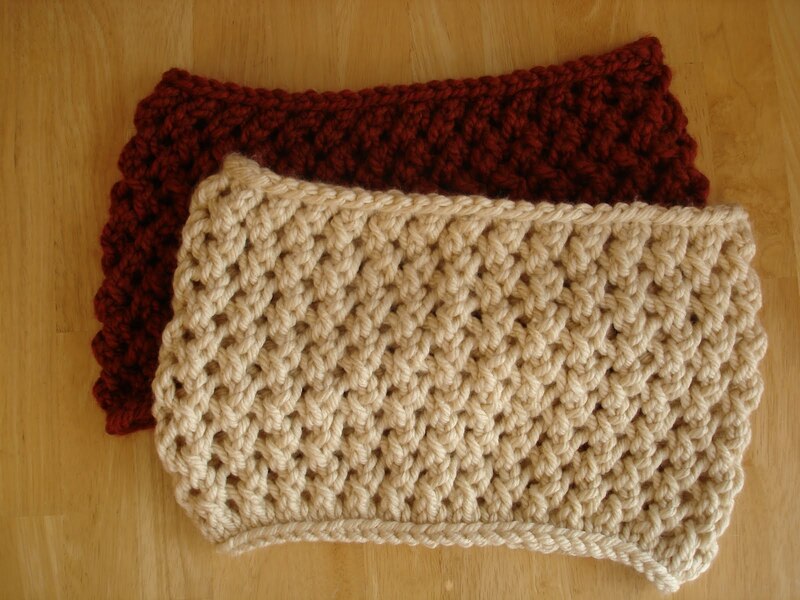 The Spice Cowl is a chunky cowl with a lace trellis pattern. Knit very quickly in the round, it is the perfect project for a last minute gift. Repeat rounds 3 through 6 six more times. Thanks, you just made my morning!!! what size did you use for the picture? what a gorgeous piece! As a relative newbie, I'm wondering what the multiple would be if I was to alter the circumference, say slightly bigger. I only have 31.5" circa and can't do magic loop. Is this a project I could work longways and sew together? any help is much appreciated! Thanks for your kind comment! To answer your question, the mesh stitch sequence doesn't have a multiple, just be sure you work it over an even number of stitches and you'll be fine. That way you can increase it as wide as you want! As for sewing it together, I would recommend whip stitching it together with the same yarn that you used for the project. Seaming mesh fabric can be a bit fiddly sometimes, just be sure it is seamed neatly and not too tight, as it could pucker the garment. Either increasing the circumference or sewing it would be a lovely choice. I hope that helps! Happy knitting! I keep decreasing but not increasing! Can you tell me what I am doing wrong and why I am not increasing? Flat version of this??? btw, I LOVE it !!! I have started and torn this apart 4 times. I have counted stitches but at round 5 skp,yo I always come up one stitch short before the marker and start of the next round. I have counted stitches but on round 5. Skp,yo I always come up one stitch short before the marker. What am I doing wrong? Are there corrections to this pattern? I am interested in doing this pattern, but the picture on the 2nd page doesn't look like the picture n the first page which appears to have another design in the front of the cowl, rather than being the same pattern all the way around. Could you please tell me what I am missing as I would like very much to make what is in the pattern on the first picture. I am also having problems with row 5. Short 1 stitch to complete last SKP. Help! I am also having trouble with row 5. Only have 1 stitch left to complete the last SKP.